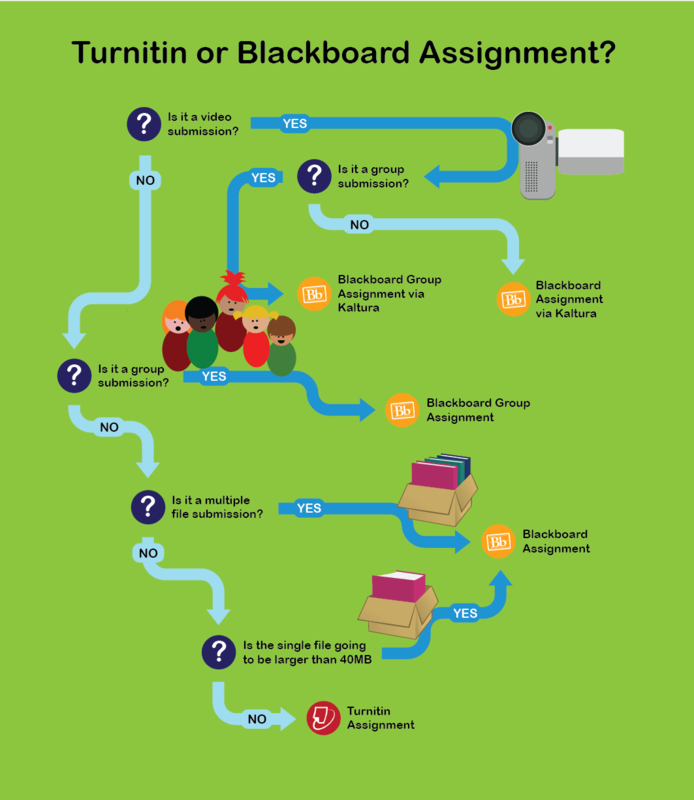 Aston University utilises two different assignment tools – Turnitin and Blackboard. This decision chart is focused these submission factors. It is an overview to help you make the choice of which tool to use based on the type of submission that students are required to make. This decision chart does not deal with other factors such as the type of feedback you would like to give. Need help? Contact the Technology Enhanced Learning Team on telsupport@aston.ac.uk.